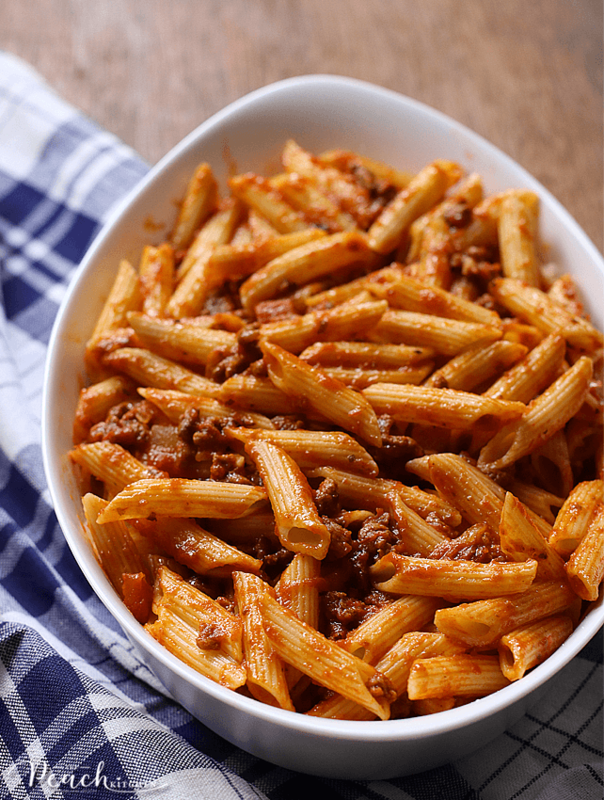 Easy and delicious Baked Ziti baked and served using the new Luminarc Smart Cuisine 250º…. Pasta is on our regular menu rotation here at home. 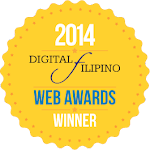 We love Mushroom Cream Pasta, Spaghetti Carbonara, and even a good Tinapa Spaghetti. 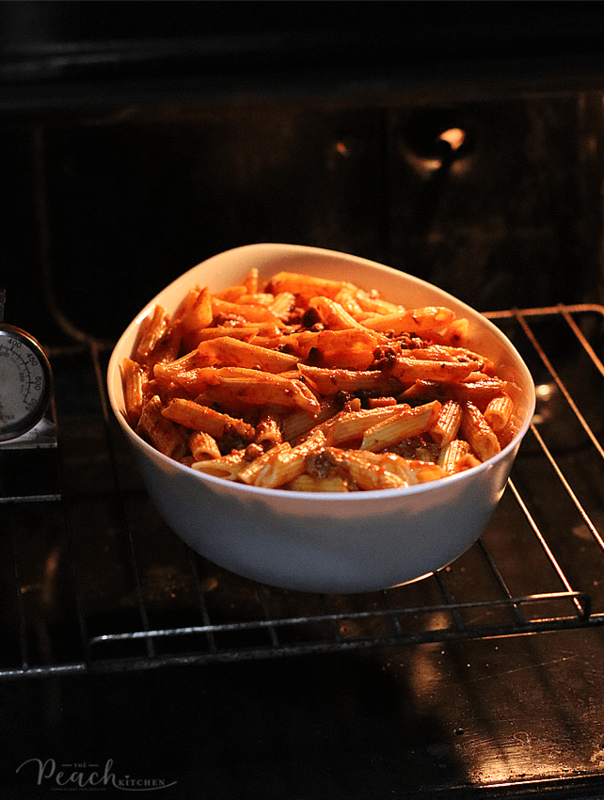 But the other day, Ykaie wanted some Baked Ziti and I thought it was a great way to try my new Luminarc Smart Cuisine 250ºC. 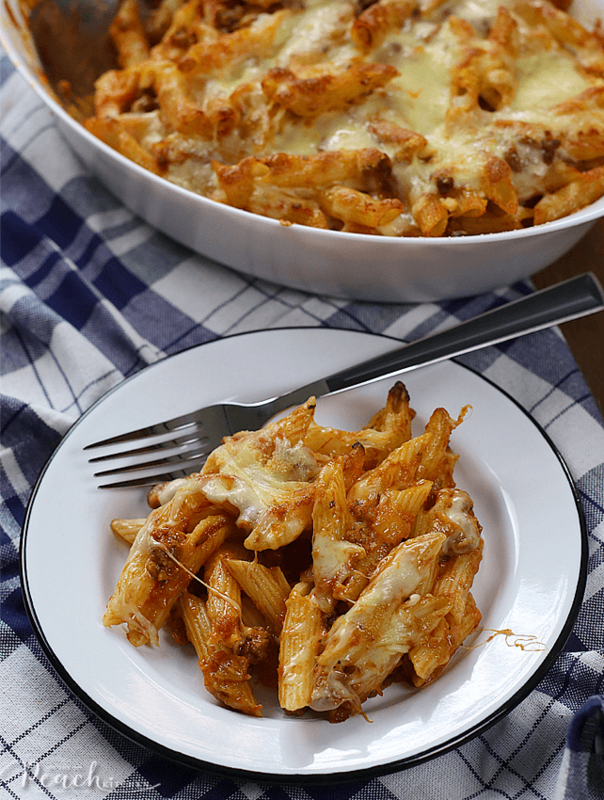 Besides a pasta bake is a good excuse to get all those ooey gooey bubbly cheese going on. 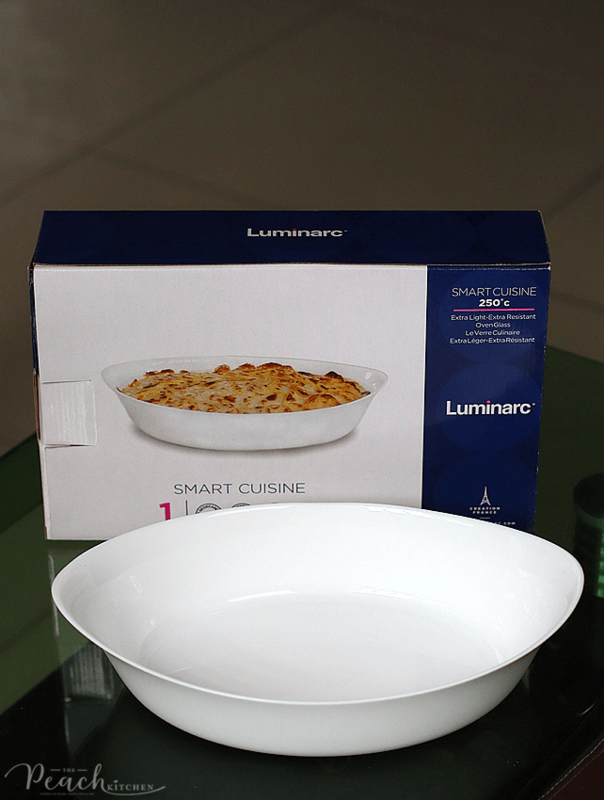 Btw, Luminarc Smart Cuisine 250ºC is latest among Luminarc’s range of dishes. It’s simple, smart, highly resistant and super light! You can use it in the oven and then direct on the dinner table for serving. Di na kailangan pang i-transfer ng food. It’s super practical, right? My Baked Ziti started in cooking the pasta and preparing the sauce. You can make your favorite sauce from scratch or you can also use your favorite store-bought sauce. For busy moms like us, sometimes we often resort to shortcuts especially if we have a bottle of pasta sauce on the shelf. I happen to have a bottle of Everyday Essential Mushroom pPasta Sauce and that’s what I used. I made some adjustments, though. I sautéed it in onion, garlic, ground beef and simmered it with a bit of water and additional dried oregano. Then I mixed 1 cup of the sauce with the cooked pasta and layered it on my Luminarc Smart Cuisine 250ºC together with mozzarella cheese and parmesan cheese. Then off it went in the oven at 350ºF (176ºC) for 15-20 minutes… after which I took it out to put the rest of the cheeses on top. I waited for it to get bubbly (around 5 minutes) then took it out to serve while it’s hot. See? Isn’t it beautiful pasta dish? See that ooey gooeey cheese?? Yumm! This is what we had for lunch the other day and based on the smiling faces and the kisses I had that day? I’d say this is a winner. Well, I am a winner too because I was able to make an easy and delicious lunch. Plus clean up was easy peasy as well. Just clean this up like any of your regular dishes at home and stack it with your other dishes. Makes for easy storage too. So what do I love about the new LUMINARC SMART CUISINE 250ºC? It’s ultra-light and durable. The Smart Cuisine 250º is made up of opal, ultra light material that is 30% lighter than ceramic or glass and is chip-resistant and more impact-resistant. It is deep enough to accommodate large quantities of food. The Baked Ziti I made was good for 5-6 people. It’s perfect for family dinners or when you’re hosting a meeting. It is oven safe. I used this to baked my pasta and served it in the same dish after. 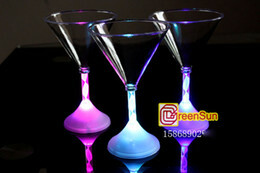 It has a gentle, ergonomic shape for easy hold. In a large skillet – heat oil and cook onions until translucent then add garlic and cook for one more minute. Add ground beef and cook till no longer pink ( drain excess fat). Stir in sauce, water, and oregano. Bring to a boil and simmer for a minute. Place ½ of the ziti into the Luminarch Smart Cuisine 250º. Remove from the oven and sprinkle with the rest of mozzarella cheese and parmesan cheese. Cook till cheese is bubbly, about 5 minutes. I’m going to try this this weekend. This looks so delicious! Yuuum! 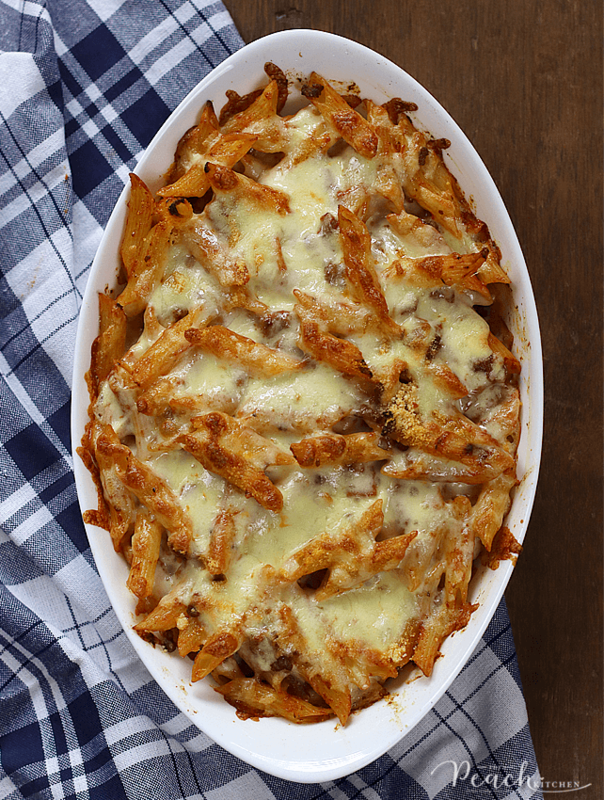 The baked pasta dish looks so delicious.I’ve never thought of having to bake my pasts dishes so that’s a new method learnt. I love taking pasta for lunch especially when sauteed as you’ve done it. Now this is one delicious sounding recipe! I have to admit I love the dish you are using as well! That looks like it would be useful for so many things. 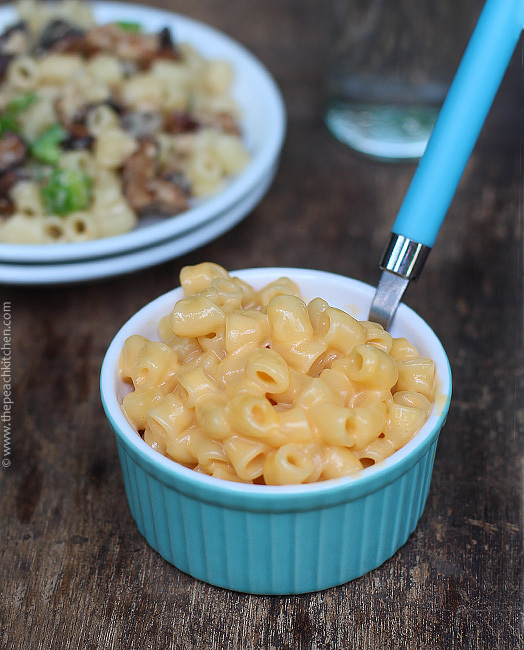 I will cover this recipe very quickly because it is super yummy and tasty, I love baked pasta! Omg this looks irresistible!! Definitely going to try this over the week. Wish could take a bite from the pcitures!! Haha. Thanks for sharing!! reading your posts really makes me hungry 🙂 you make everything seem so easy to do , I will give it a go, thought I am not sure how it will work out with my cooking skills 🙂 love the photography too! This looks like an incredible meal. My family loves ziti! I’ll be making this for dinner one night. This looks so good! I’m on a diet and this is making my mouth water! Thank you for sharing the recipe. Will definitely make this on my cheat day! I just tried to eat my screen. Looks DELISH!! 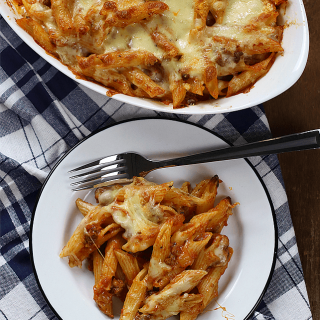 This dish is known locally as pasta bake and I love the way that it is so versatile and easy to make. I would love to make it again soon but I will replace the beef with some delicious mushrooms. This recipe looks and sounds so good! 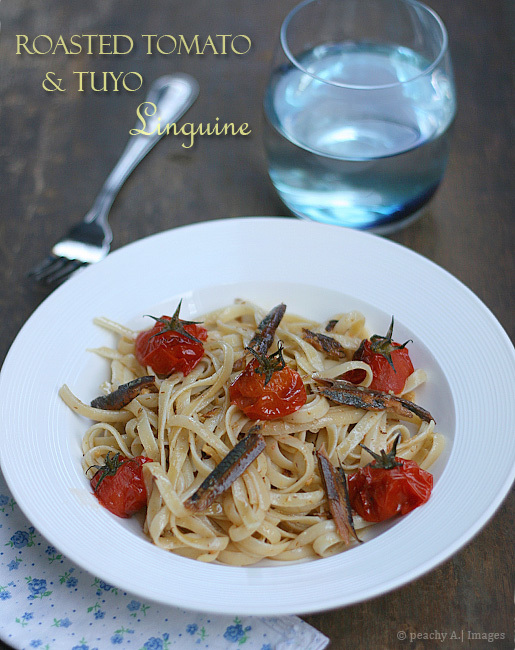 We love pasta at our house so I will have to try making this. I absolutely love pasta in any way, shape, or form! 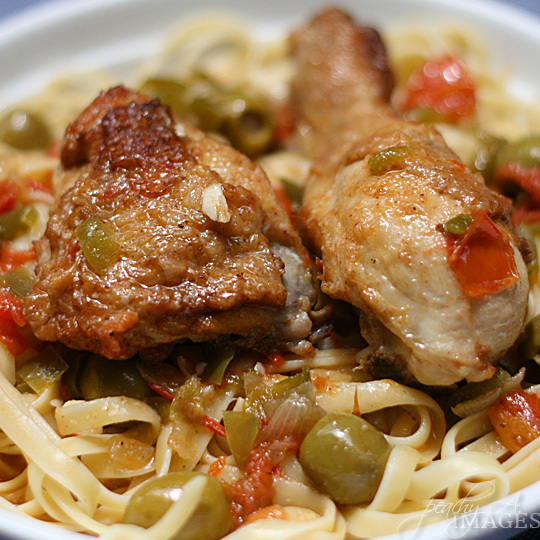 This recipe looks delish and perfect to add to the dinner rotation! I love Ziti. I havent in a while but it looks delicious I would like to make it for dinner this week. When I think of baked zitti, I always think Sbarro. I just realized that I can also do it at home! hahaha Thanks for this recipe moms. 🙂 Will try this at home. 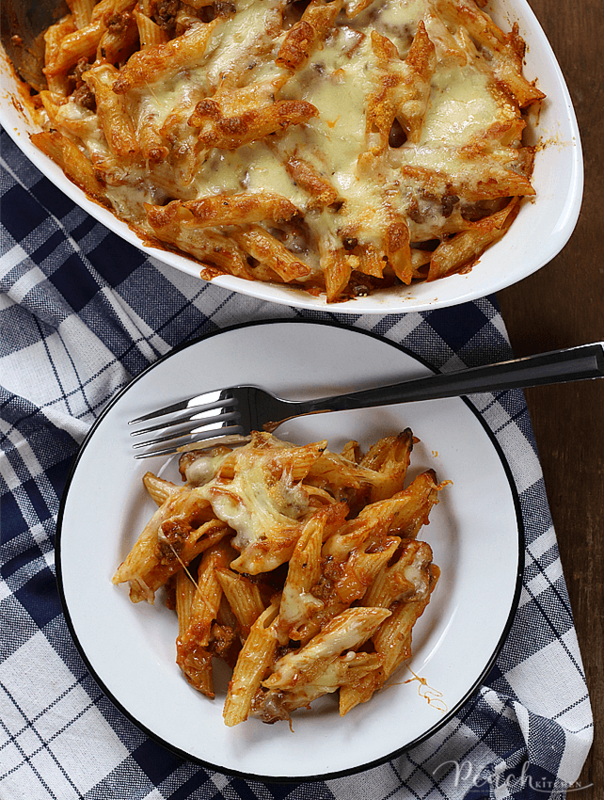 The Ziti dish looks so yummy especially with the additional cheese.Bon Appétit ! 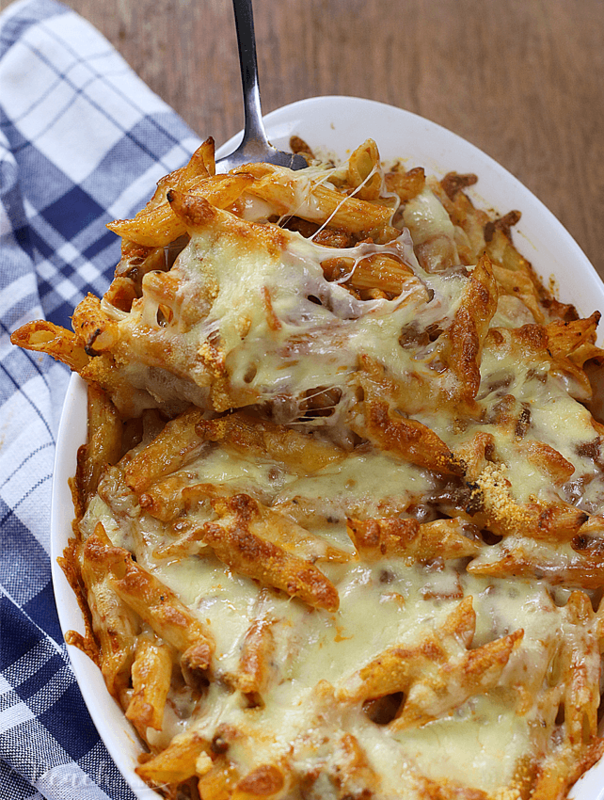 Baked Ziti is one of my favorite pasta dishes. And this looks like it turned out pretty amazing. I will have to try it out.